www.drivethedeal.com has some excellent deals on brand new Fords, all supplied by UK main dealers. Prices include road tax and delivery to your door is free. 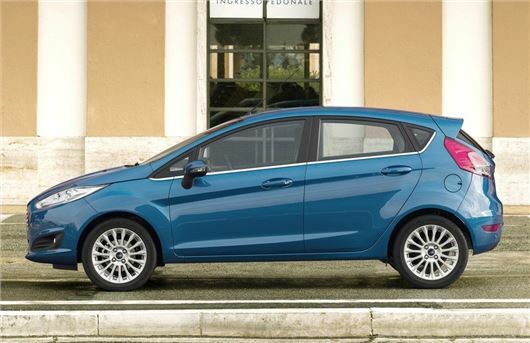 TITANIUM MODEL: Ford is offering a CONVENIENCE PACK at a promotional price of £99 (if it is fitted to the car). ZETEC MODEL: Please note that our quote includes a FREE APPEARANCE PACK (if option is fitted to the car). This discount is conditional upon you taking out finance arranged by the dealer. If you do not wish to take out this finance then you will need to add £1,050 or £1,600 respectively to the prices that quoted. 1. 4.3% APR REPRESENTATIVE Finance on Options (PCP or Cashplan) over 24 months. 2. 6.8% APR REPRESENTATIVE Finance on Options (PCP or Cashplan) over 36-48 months. 3. 7.2% APR REPRESENTATIVE Finance on Acquire (Hire Purchase) over 24-48 months. The dealer Drive the Deal puts you in touch with can arrange this for you if you would like it. Subject to status.